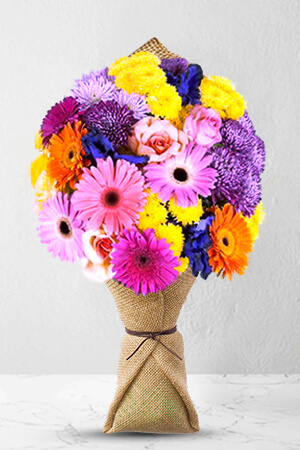 Graceful is a traditional mix of colourful blooms which are guaranteed to brighten any day and bring a smile to any face. If you cant choose one type of flower... Why not have them all?Lilies may be sent closed/partially closed in order to prevent damage and to last longerVase not included but add a personal touch to your gift by adding a vase with your order. We recommend a Superior vase to perfectly complement Graceful. Easy and a great bunch of flowers. The flowers were delivered on time. I sent them for my sister who was celebrating her 80th birthday. She called me to tell me that they were lovely. Thank you. 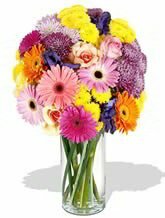 I have used zFlowers.com several times - the selection is fantastic. Not knowing much about flowers myself it is great they are grouped by occasion. Excellent and reliable delivery too. The flowers arrived timely (at 12 midday) and they looked amazing.